Sanhui Toys Model Co., Ltd. is a Chinese manufacturer of miniatures and life-sized silicone dolls. The factory is located in Nanning city in Gangxi province (as of 2017). The SH-168 is a life-sized silicone love doll by Chinese company Sanhui. The currently tallest doll by Sanhui has a body height of about 168 cm and weights approximately N/A kg (manufacturer specs). Body measurements: 83 (breasts) × 54 cm (waist) × 87 cm (hips) / Foot Length: 21 cm. The Sanhui SH-165 aka Elva is a life-sized silicone love doll by Chinese manufacturer Sanhui. 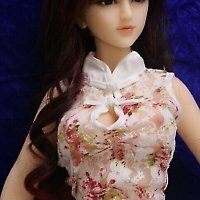 The tallest female doll by Sanhui has a body height of about 165 cm and weights about 30 kg (according to the manufacturer's specification). Sanhui's SH-165 retired in 2016. Her successor is the SH-165 Plus. The Sanhui SH-165 Plus aka Addeline is a life-sized silicone love doll by Chinese company Sanhui. The currently tallest doll by Sanhui has a body height of about 165 cm and weights approximately 30 kg (according to the manufacturer's specification). 'Body measurements: 81 cm / 2'8 (breasts) × 51 cm / 1'8 (waist) × 79 cm / 2'7 (hips) / Head Circumference: 1'7 / Thigh Length: 2'10 (86 cm) / Hand Length: 7 (18 cm) / Foot Length: 8 (19.5 cm). 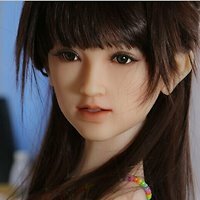 The Sanhui SH-160 aka Svetlana is a life sized silicone love doll by Chinese manufacturer Sanhui. The doll is about 160 cm tall and weights ca. 30 kg (according to the manufacturer's specification). Body measurements: 76 cm (breasts) × 50 cm (waist) × 79 cm (hips). The Sanhui SH-158 is an almost life-sized silicone love doll by Chinese manufacturer Sanhui. The well-proportioned lady is about 158 cm tall and weights between 30 an 34 kg (according to the manufacturer's specification). Body measurements: 78 cm (breasts) × 54 cm (waist) × 81 cm (hips). The Sanhui SH-156 is an almost life-sized silicone love doll by Chinese manufacturer Sanhui. The well-proportioned lady is about 156 cm tall and weights between 30 an 34 kg (according to the manufacturer's specification). The Sanhui SH-145/A is a medium-sized silicone love doll. The petite lady is about 145 cm tall and weights ca. 24 kg. This doll is created and manufactured by Chinese manufacturer Sanhui. Body measurements: N/A cm (breasts) × 50 cm (waist) × 76 cm (hips). 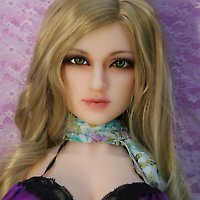 The Sanhui SH-145/C aka Sakura is a silicone love doll by by Chinese manufacturer Sanhui. This medium-sized doll has a body length of about 145 cm and weights 25 kg (according to the manufacturer's specification). Body measurements: 67 cm (breasts) × 50 cm (waist) × 76 cm (hips). 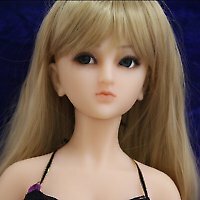 The Sanhui SH-145/D aka Sakura Yamamoto is a silicone love doll by Chinese manufacturer Sanhui. This medium-sized doll has a body length of about 145 cm and weights 25 kg (according to the manufacturer's specifications). Body measurements: 73 cm (breasts) × 50 cm (waist) × 76 cm (hips). Head No. 1 for Sanhui 88 is manufactured by Chinese company Sanhui. Head No. 2 for Sanhui 88 is manufactured by Chinese company Sanhui and distributed by 1AM. Head No. 3 for Sanhui 88 is manufactured by Chinese company Sanhui and distributed by 1AM. Head No. 4 for Sanhui 88 is manufactured by Chinese company Sanhui and distributed by 1AM. Head No. 1 for Sanhui 145 is manufactured by Chinese company Sanhui and distributed by 1AM. Head No. 2 for Sanhui 145 is manufactured by Chinese company Sanhui and distributed by 1AM. Head No. 3 for Sanhui 145 is manufactured by Chinese company Sanhui and distributed by 1AM. Kopf Nr. 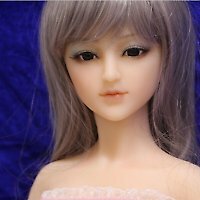 1 aka Addeline is a female head made of silicone for Silikon Sanhui 165. The head was created by Chinese manufacturer Sanhui. Kopf Nr. 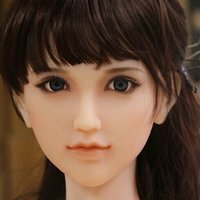 2 is a female head made of silicone for Silikon Sanhui 165. The head was created by Chinese manufacturer Sanhui. Kopf Nr. 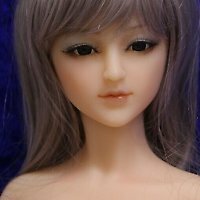 3 aka Addeline is a female head made of silicone for Silikon Sanhui 165. The head was created by Chinese manufacturer Sanhui. Wig No. 5 fits the heads of silicone love doll Sanhui 88 (= 1AM TC1303). Wig No. 4 fits the heads of silicone love doll Sanhui 88 (= 1AM TC1303). Wig No. 3 fits the heads of silicone love doll Sanhui 88 (= 1AM TC1303). Wig No. 2 fits the heads of silicone love doll Sanhui 88 (= 1AM TC1303). Wig No. 1 fits the heads of silicone love doll Sanhui 88 (= 1AM TC1303). The Sanhui Wig Ni. 165/1 has long red hair, taken apart in the middle. 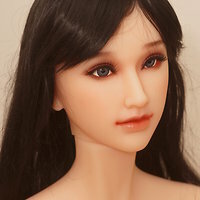 The wig fits to the heads for silicone love doll Sanhui 165. The Sanhui Wig No. 165/2 has long blond hair, taken apart in the middle. 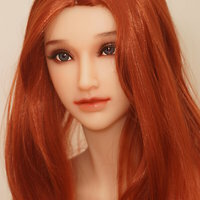 The wig fits to the heads for silicone love doll Sanhui 165.